There is a gazillion things inside my brain. So much going on. Far too many projects on the go. This is a diary and I could be writing about them. But the ins and outs of each and every to-do becomes boring. There is no space left in my brain for anything else. 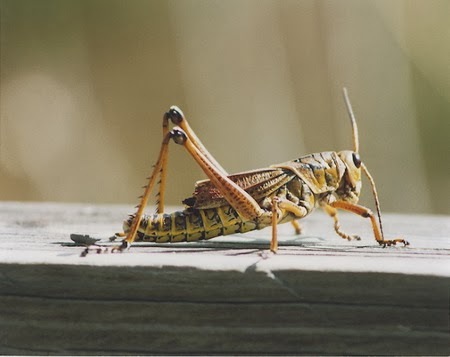 So today I give you crickets. Trust me, the sound of crickets is so much better than the New York peak hour traffic (complete with sirens) that is going on inside my head. Oh, and I also give you one last chance to WIN. Let me hear you ROAR!!!!!! The Monsters University movie was released on DVD, Blu-Ray and Digital on 13 November 2013. Disney has teamed up with Deep Fried Fruit yet again to give TWO lucky readers the chance to win copies of the DVD. All you have to do to enter is give me your best ROARRRRR. You can enter via blog comment, Deep Fried Facebook, Twitter#DFFMonsters, email or text. Please be sure to leave me enough details so I can track you down if you win. Competition closes today at midnight. Winners will be chosen randomly from a hat and announced tomorrow morning. What you waiting for? Start roaring! Joining in the ROOARRR too! have a lovely weekend.